When it comes to climate moisture, the American West is a region of extreme opposites, ranging from California’s Death Valley — the hottest and driest location in the Western Hemisphere —to the marine climate of the Pacific Northwest, which typically has the highest annual rainfall in the United States. Also found throughout the West are cold mountain climates in the Rocky, Sierra Nevada, Cascade and other smaller mountain ranges. Though many who live outside the West generalize it as hot and dry, there are many pockets throughout the region where precipitation or humidity is common. And in these areas, there is potential for moisture damage in the wall cavities of buildings. Water vapor naturally diffuses through permeable building materials from areas of high pressure to areas of low pressure. For instance, in periods of cold weather, warm interior water vapor moves through a building’s wall assembly to the colder, drier exterior. In hot weather, the opposite happens. During this diffusion, the vapor often condenses, trapping moisture in the wall cavity and creating potential for the degradation of the building’s structural integrity, thermal efficiency and indoor air quality. Extended exposure to moisture can compromise the thermal efficiency of the building envelope by decreasing insulation R-Value. Moisture can also eventually cause wood-based building components to decay and steel structural members to corrode. Worse still, it can help spawn fast-propagating mold, which uses cellulose-based materials, such as wood and standard paper-faced gypsum board, as a food source. Mold spores can emanate from wall cavities and cause respiratory ailments among building occupants. Building and design professionals can prevent these devastating results, however, by including an effective moisture management strategy in their building design. One vital component of such strategies is a vapor retarder. Article: Do I Need a Vapor Barrier? 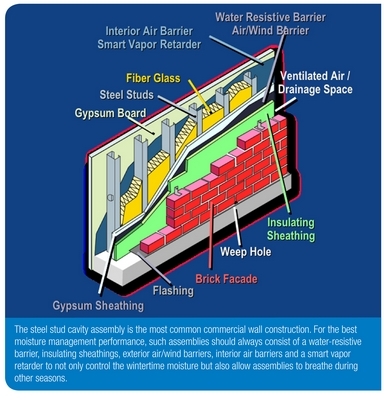 A vapor retarder is typically a thin sheet made from one of a variety of materials that is primarily designed to impede the moisture flow through the wall assembly and protect the building envelope from condensation damage. A properly installed vapor retarder can also act as an interior air barrier, minimizing the flow of moisture-laden air into insulated cavities during cold weather. Vapor retarder materials are rated by their water vapor permeance, using “perms” as the unit of measurement. The test method for determining the water vapor permeance of any building material is ASTM E96, Standard Test Methods for Water Vapor Transmission of Materials, which measures diffusion using two possible means — the dry cup method, also known as Method A or the desiccant method, and the wet cup method, also referred to as Method B or the water method. A perm rating is equivalent to the number of grains of water vapor (7000 grains = 1 pound) that will pass through 1 square foot of the material in one hour when the vapor-pressure differential between two sides of the material equals 1 inch of mercury (0.49 psi). The lower the perm rating, the more successful it is at impeding moisture transmission. Throughout the building community, the term vapor retarder is often used interchangeably with the term “vapor barrier,” which refers to any material that bars the transmission of water vapor through walls, ceilings and floors. Most of the materials referred to as vapor barriers, however, will permit some vapor transmission, making the label inaccurate. 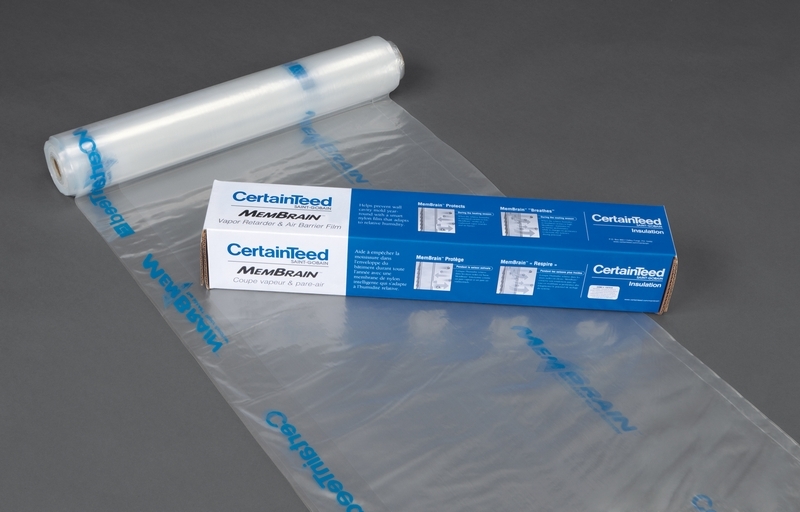 Even 6-mil polyethylene, one of the most common vapor barrier materials, has a 0.06 perm rating and can therefore be considered a vapor retarder in spite of its extremely low permeance. Class I covers materials most frequently referred to as vapor barriers. These vapor retarders have a permeance level of 0.1 perm or less and are considered impermeable. Examples include polyethylene film, glass, sheet metal, foil-faced insulated sheathing and nonperforated aluminum foil. Class II vapor retarders have a permeance level between 0.1 perm and 1 perm and are considered semi-impermeable. Examples include unfaced expanded polystyrene, fiber faced polyisocyanurate and asphalt-backed kraft paper facing on fiber glass batt insulation. Class III vapor retarders have a permeance rating between 1 perm and 10 perms and are considered semi-permeable. This class includes most latex paints over gypsum board, #30 building paper and plywood. There are specific conditions listed in the 2006 International Energy Conservation Code (IECC) that state where Class III vapor retarders are allowed — when design conditions exist that promote drying through the use of ventilated claddings or reduce closed-cavity condensation potential through the use of exterior insulating sheathings. 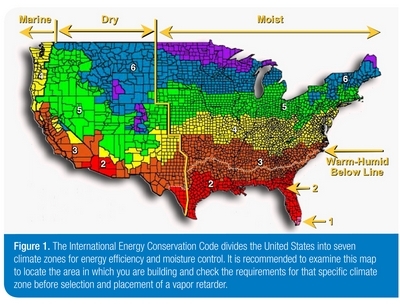 Refer to Figure 1, a map of U.S. climate zones that determine vapor retarder choice and placement. 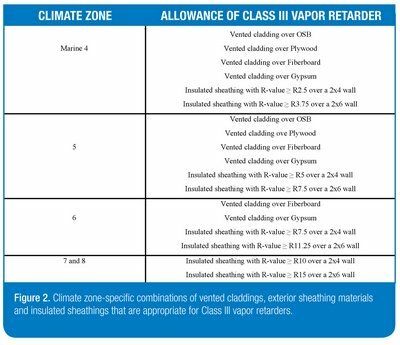 The table in Figure 2 summarizes the climate zone-specific combinations of vented claddings, exterior sheathing materials and insulated sheathings that permit the use of Class III vapor retarders. Any material with a permeance of over 10 perms is considered permeable. 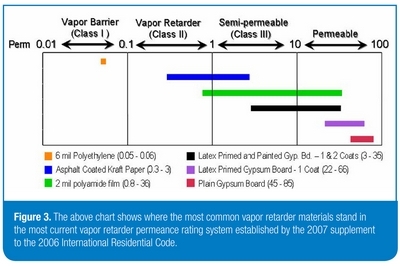 Figure 3 shows popular vapor retarder materials and how they rate on the permeance scale. These classifications make it easier for building and design professionals to specify the best vapor retarder for their project. After selecting the vapor retarder, however, it is important to focus on the proper positioning of the vapor retarder in the wall assembly, which is determined by the regional climate where the project is located. Climate is an important factor in both the selection and positioning of vapor retarders in the exterior wall assembly. 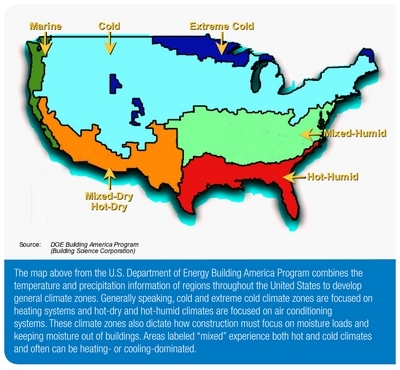 In colder climates, vapor retarders should be placed on the interior of the building envelope. It is best not to use Class I vapor retarders, such as polyethylene film or aluminum foil, in the following circumstances: climates with high summertime moisture loads; building envelopes with moisture storage claddings, such as concrete or brick; and in building envelopes with low-permeability exterior sheathings, such as extruded polystyrene. In a marine or mixed-humid climate, the first step is to determine whether the climate is heating- or cooling-dominated. If the project is located in a heating-dominated climate, the vapor retarder should be placed on the interior. But if the project is in a cooling-dominated climate, the vapor retarder should be placed on the exterior of the building envelope or completely left out. In these climates, one of the best options is a semi-permeable vapor retarder, such as asphalt-coated kraft paper, which is typically attached to faced fiber glass batt insulation. 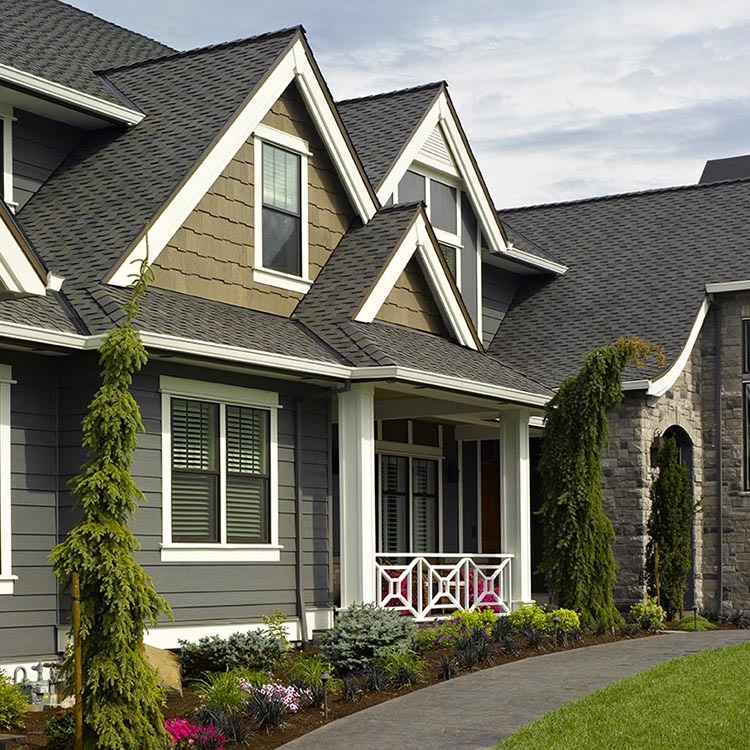 Specifiers may also choose vapor-retarding paint. It is important to remember, though, in a mixed-humid climate, not to use low-permeance poly film or aluminum foil. In a mixed-dry climate, most of the time, a vapor retarder is not required because rainfall is light and humidity tends to be low. It’s still a good idea to check the local building code, as it may require the vapor retarder to be installed at the interior. In a hot, humid climate, the recommendation is to place the vapor retarder at the exterior, outside of the cavity insulation. 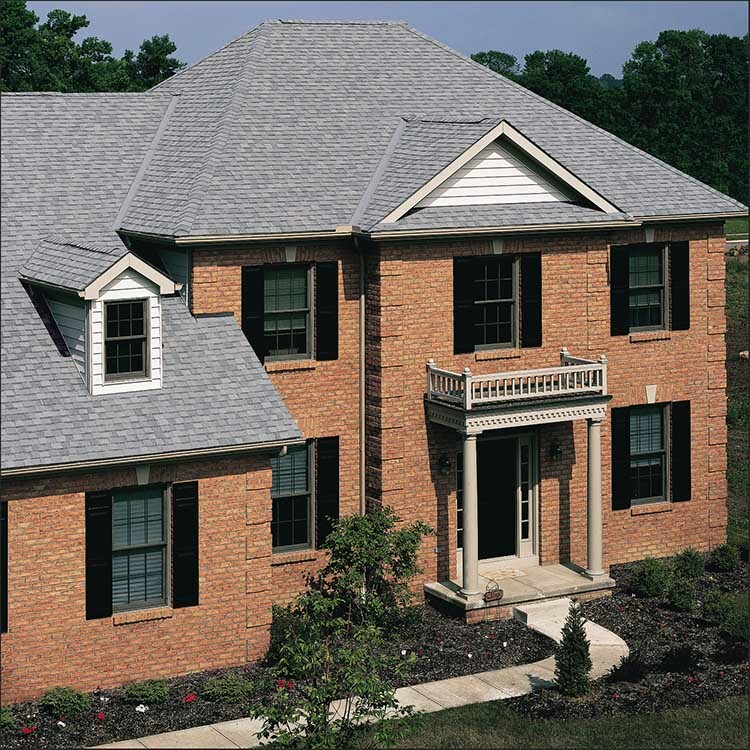 Rounding out the list, in hot-dry climates, a vapor retarder is not required. 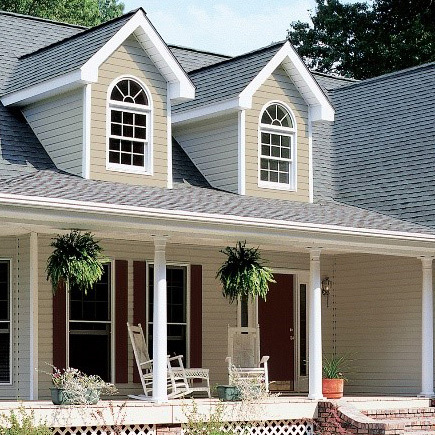 While low-permeance vapor retarders provide powerful water vapor resistance year-round, they also reduce the potential for summertime drying of wet building materials. A moisture management strategy in a marine or mixed-humid climate would ideally address this problem with a breathable wall cavity, featuring airtight drywall construction with a slightly more permeable vapor retarder that allows some moisture diffusion. Drying could occur via vapor diffusion in either direction, and the vapor retarder would actually adapt to varying conditions in humidity. Considering this solution, some building product manufacturers have developed new “smart” vapor retarders, which react to changes in relative humidity by altering their physical structure to provide the best moisture flow protection for every season. Field tests have shown that smart vapor retarders effectively reduce the risk of moisture damage in the building envelope by increasing the construction’s tolerance to moisture load. Originally developed, tested and commercialized in Europe, they are made from polyamide, a nylon-based material. The nylon content gives it high tensile strength. Polyamide film retards moisture under dry conditions, usually with a Class II permeance rating. However, as relative humidity increases above 60 percent, the film dramatically opens up to a much higher permeance, which allows drying toward the interior. In conditions of low relative humidity, the film’s plastic molecules form a tight, impermeable network. As soon as the film comes into contact with 60 percent relative humidity, it swells up and becomes soft as the polar water molecules penetrate between the nylon molecules. As a result, the nylon acquires pores through which further water molecules can penetrate, and the permeance increases to greater than 10 perms when tested in accordance with ASTM E96, wet cup method. A smart vapor retarder combined with fiber glass batt or roll insulation is a winning moisture management solution. And manufacturers are making fiber glass insulation increasingly green to meet the demands of LEED® and other sustainable building standards. Some are producing insulation with organic binders composed of rapidly renewable bio-based materials and no added phenol formaldehyde, harsh acrylics or dyes. These new binders serve as a boost to an already green insulation material, as fiber glass insulation has always been manufactured with readily available renewable resources, such as sand and high recycled glass content. To make the best selection, it is recommended to gauge the moisture management performance of the vapor retarder, insulation and other components of the wall assembly as a whole. A building with an effective moisture management strategy is a drier and therefore more sustainable building, with healthier, happier occupants. The implementation of a solid moisture management strategy with fiber glass insulation and the proper vapor retarder is a step in the right direction toward that goal.